MagsConnect has discounted magazine subscriptions for all Sports & Recreation magazine enthusiasts. Save up to %90 on all titles. Always get your magazine subscriptions for less. Basketball is the soul of SLAM, a streetwise magazine that covers the game from the high school level to the NCAA to the pros. The issues are packed with color action photos, player profiles and news about the game, presented with fresh style and a hip-hop sensibility. The Hockey News has been providing the most comprehensive coverage of the world of hockey since 1947. The Hockey News gives you... The inside scoop on hockey like no other publication. Interviews, photos, stats and predictions. Team stories from the best writers in all 30 NHL cities. Coverage of minor pro, college and junior leagues. Weekly features that take you inside the game. As Canada’s only national fishing and hunting magazine, Outdoor Canada has been entertaining and informing readers since 1972 with a lively mix of how-to articles, buyer's guides, profiles, travelogues, in-depth reportage and expert analysis. Along with promoting conservation and celebrating Canada’s heritage sports, Outdoor Canada encourage anglers and hunters to improve their skills and broaden their knowledge of the outdoors. Everything you want to know about the great outdoors. Includes guns, dogs, hunting and fishing. This leading English riding magazine serves equestrians of all disciplines with how-to and training advice, as well as articles on horse grooming and health care. Practical Horseman also provides information about events and competitions and how to prepare for them. Outdoor Life is an outdoors magazine that has been a leading publication in its category ever since its launch back in 1898. Founded by J.A. McGuire in Denver, Colorado, the magazine's intention was to be a magazine for sportsmen, written by sportsman, and to touch on all topics of the outdoors lifestyle. Every full-color issue contains photographs of and information on fishing, boating, hunting, aviation, motor vehicles, and more. 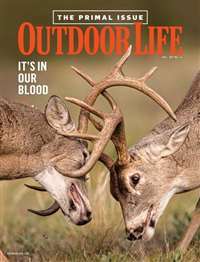 Outdoor Life provides the most up-to-date tips and techniques pertaining to all outdoor sports, and lists reviewed testing of the newest gear and equipment. Over its 100+ years of publication, Outdoor Life has been dedicated to keeping up with the changing times and advancing technology in order to ensure the delivery of a relevant and desired publication. Whether you play or your passion doesn't get past the stands, Tennis gives you what you crave. 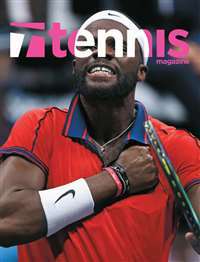 Every issue of the world's favorite tennis magazine features advice from the pros on how to improve your game, recaps of the most exciting professional matchups, and interviews with the stars of the court. The Ring Magazine is a boxing magazine that was first published in 1922. First edited by hall of famer Nat Fleischer, it has opened boxing scandals, helped make unknown fighters famous worldwide and covered boxing's biggest events of all time. The magazine refers to itself (and is referred to by others) as "The Bible of Boxing". Among other boxers, some of the boxers featured on the magazine covers have included Jack Dempsey, Max Schmeling, Joe Louis, Sugar Ray Robinson, Jake LaMotta, Muhammad Ali, Alexis Arguello, Wilfredo Benitez, Wilfredo Gomez, Roberto Duran, Larry Holmes, Marvin Hagler, Sugar Ray Leonard, Mike Tyson, Evander Holyfield, Julio Cesar Chavez, Felix Trinidad, and Oscar De La Hoya. If you are in the market for the a first-rate boating publication, then accept no substitutes for Boating, the most widely-read boating magazine. 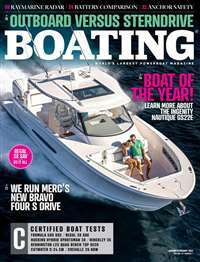 Each magnificent full-color issue comes complete with reviews of new boats and related gear, travel and vacation guides, profiles of top boaters and instructional pieces designed to improve you boating techniques. Quite simply, the best of its kind. 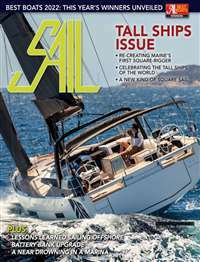 Sail brings you an at-the-helm examination of the many ways sailing is practiced today. You'll read and learn about boat and crew chartering, commissioning, boat shows, races, boardsailing, instruction, weather, navigation, new and used boats, gear, and an endless source of how-to-advice. From A to Z about sailing!